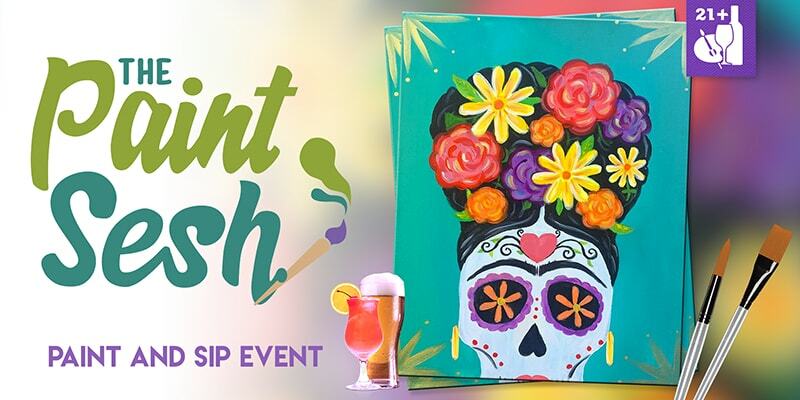 Paint & Sip with The Paint Sesh at Q Smokehouse in beautiful Long Beach, CA. If you’re a fan of Dia de los Muertos or Frida than this holiday themed painting is the perfect option for you! The instructor will guide you and your friends through two hours of lively creativity, fun and lets be honest, art is a form of therapy, sometimes you just need a night out! The best part? You don’t have to be an artist to have an amazing time. -CHEERS!